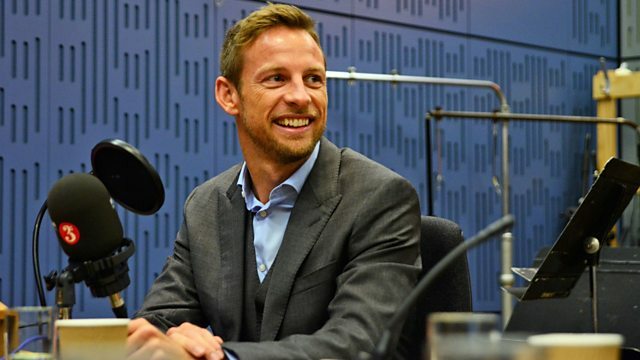 Clive Anderson and Tom Allen are joined by Jenson Button, Frank Skinner, Rupert Goold and Reverend Billy for an eclectic mix of conversation, music and comedy. With music from Brandy Clark and Trio Da Kali. 'Life To The Limit: My Autobiography' is published by Bonnier and available now. Reverend Billy and the Stop Shopping Choir’s 'Trump Depression Hotline Tour' runs from Saturday 21st to Sunday 29th October. 'Landscape Artist of The Year' is on Wednesday 25th October at 20.00. on Sky Arts. 'The Man With No Show' is at London's Soho Theatre from Tuesday 24th October to Saturday 11th November. 'Albion' is at London's Almeida Theatre until Friday 24th November. 'Ink' is at London's Duke of York's theatre until 6th January 2018. ‘Ladilikan’ is available now on World Circuit. Trio Da Kali are playing at Opera North, Leeds on Sunday 22nd, St Barnabas Church, Oxford on Wednesday 25th and The Old Church, London on Thursday 26th October. 'Big Day In A Small Town' is available now on Warner Bros. Brandy is playing at Union Chapel, London on 24th, The Stables, Milton Keynes on the 26th and Milton Keynes and Birmingham, Town Hall on 27th October. Check her website for further dates.